Three kids create this very popular weekly vlog of family life and where they also review stuff and Emma gives makeup advice. Kitties Mama » YouTube » Doll Makeup Challgenge! 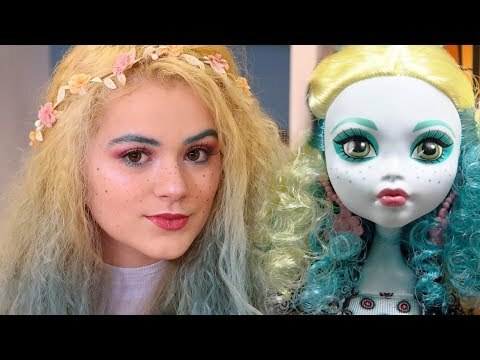 Monster High Doll Lagoona Blue Inspired Makeup!